Elavon, payments provider and subsidiary of US Bancorp, has partnered with Societe Generale for payments acceptance and acquiring services across Europe. Societe Generale’s business clients will now have access to Elavon’s cross-border payment capabilities in the United Kingdom, Austria, Belgium, Germany, Italy, Netherlands, Spain and Switzerland. This will complement Societe Generale’s established payments infrastructure (face-to-face and e-commerce) in France. Elavon’s payments services include accepting electronic payments from payment cards, digital wallets, alternative payment methods and real-time bank transfer capabilities. The company offers a full range of payments solutions to businesses across more than 30 countries in Europe. This partnership includes Elavon’s omni-commerce payment solution, which offers businesses the ability to accept payments in any payment environment needed, including in-store, mobile, mail/telephone order (MO/TO) and online. 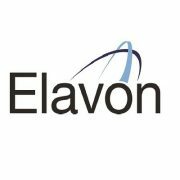 Both businesses and consumers benefit from Elavon’s advanced secure payment solutions and fraud prevention.